We have been learning the “art” of playing a song in front of a camera. It’s been a fun experience because playing in a natural way as a group seems so easy until you want to look like you feel! lol! It’s also funny that the process of looking natural, and also changing the point of view as a person might glance from player to player, is also an interestingly layered process. To take a quick glance around the room with the camera means multiple recordings and many minutes of footage,and hours of editing. The irony makes me smile. 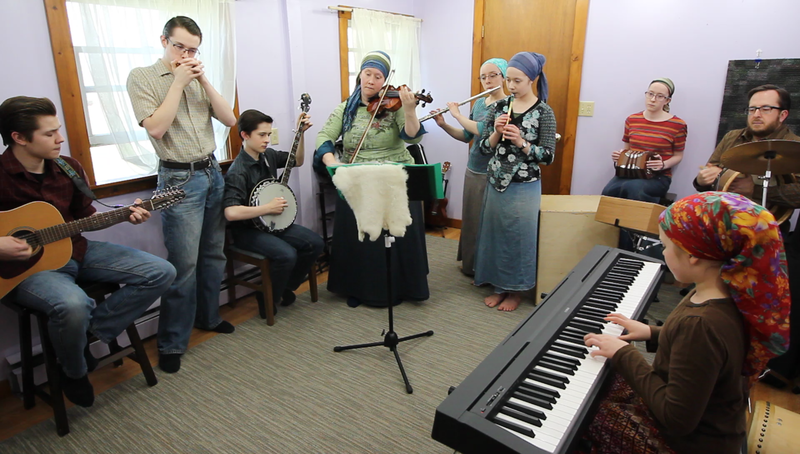 This weekend we did video recording of “Miss McClouds”. It’s a fun reel that almost all of us can play together. Doing a video and even just an audio recording is like icing on the cake after the weeks or months we spend working on a piece. I really love how the Lord has taught each of us to “hear” what we would like to play in the song, and interesting variations always pop up. When I was learning violin in school, I had to have the sheet music to play anything. I never deviated. Learning to “pick up and play” was a valuable lesson the Lord taught me through the boys (guitar, banjo, piano sessions here are almost always pick up sessions, on the spur, refreshingly spontaneous). There is a definite need for sheet music, (as you can see I have mine as a foundation in the photo). 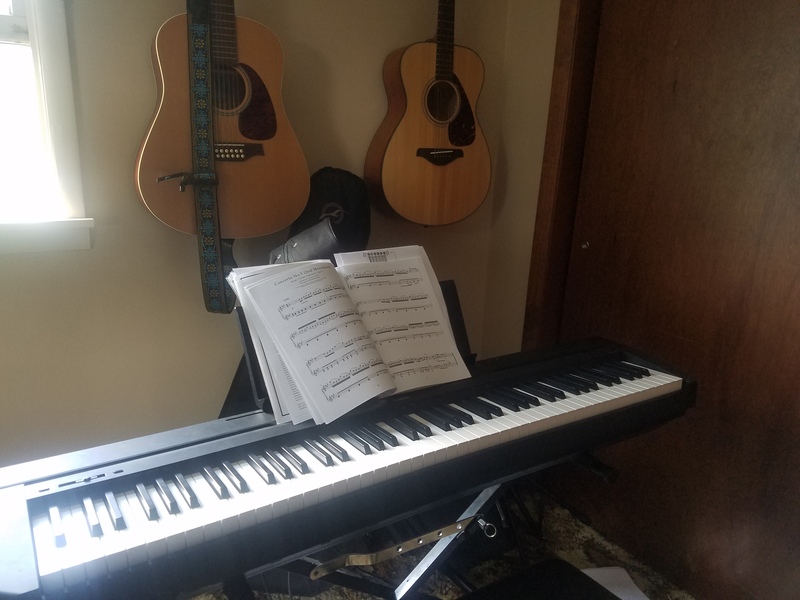 And our home-school music revolves around sheet music, via etudes, exercises, and the melody or chord foundation of any piece we want to play. Playing together has helped us hear the little changes and opportunities for accents with the ear,and deepened the experience. I’m finding there are so many little accents and variations, that it would be hard to write them all down. The natural easy way they emerge from each player is a gift from the Lord. Music belongs to God after all,and it’s been a deep joy to learn from Him . He IS the Beauty that truly makes an instrument sing. If you’d like to see the reel we worked on this past weekend, it’s available on our slider on the Zawmar home page! What fun project are you and your family doing right now?